The Bush Institute blog is exploring the change in diplomatic ties between the United States and Cuba with a series of short interviews with observers of the U.S.-Cuba relationship. 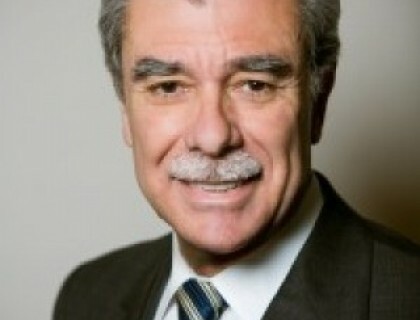 We continue the series with former U.S. Secretary of Commerce Carlos Gutierrez. On August 14, Secretary of State John Kerry led a high-level delegation to Havana to officially reopen the U.S. Embassy in Cuba. Carlos Gutierrez accompanied Secretary Kerry and agreed to answer a few questions about his trip and the changing relationship between the United States and Cuba. Mr. Gutierrez was born in Cuba and left as a young boy in the wake of Cuba’s communist revolution. He spent nearly 30 years at the Kellogg Company, including service as the firm’s President, Chief Executive Officer, and Chairman of the Board. From 2005 to 2009, he served as Secretary of Commerce under President George W. Bush, and currently serves as Co-Chairman of Albright Stonebridge Group. Mr. Gutierrez also serves on the Human Freedom Advisory Council at the George W. Bush Institute. You left Cuba as a six-year old boy and returned to Havana for the reopening ceremonies for the U.S. Embassy. Was it an emotional trip for you? How so? How would you describe conditions in the country? I wasn’t sure what I would feel when I returned to Cuba after 55 years. I woke up on that first morning with a tremendous feeling of joy to be back in the land of my birth and that of my ancestors. It was a privilege to see the American flag being raised at the U.S. Embassy for the first time in nearly five decades. The optimism of the Cuban citizens I met was inspiring. They are more than ready to move forward and they view this new relationship with the United States as a step towards improving their own lives. Havana has suffered from a lack of investment, which is clear from the pictures we all have seen. While some buildings have undergone a total re-haul, most need serious repair. Basic infrastructure needs to be built out. However, it is still a grand city with enormous potential. You initially opposed the restoration of diplomatic ties with Cuba, but in June, you wrote in a commentary forThe New York Times that you have changed your mind and now feel it is the right policy. Why do you now think engagement with the Cuban government can help promote political and economic reforms? In the past, I felt that the interests of both countries were polar opposites. Today, there are important changes taking place in the Cuban economy. There are many private restaurants, people buying and selling homes, and new shops are opening up. Cuba is changing and it’s time that we change with it. Unlike any other time in the last five decades, today we have an opportunity to actually help the Cuban people. We shouldn’t let the opportunity pass. I would ask any opponent of normalization to visit Cuba. I believe they will reach the conclusion that the Cuban people are the biggest losers of the policy of Cuba isolationism. Many U.S. businesses are eager to explore the opening in Cuba. With your long experience as a former CEO of Kellogg and as President Bush’s Commerce Secretary, what are some of the challenges and opportunities businesses might face? I would counsel businesses to be patient and to think long term when it comes to Cuba. The changes are going to be gradual. The embargo is still in place, Cuban regulations still need to be adjusted, and purchasing power is still low. However, Cuba has abundant human and natural resources. I would urge U.S. business people to visit and stay close to events on the island. Some critics of the opening with Cuba say the negotiations gave away the store while getting few concessions in return from Havana, particularly with regard to political change and the treatment of dissidents. What’s your assessment? The process towards normalization is still at the beginning. It’s interesting that many have lost patience with a nine-month old policy that is attempting to alter one that has been around for over 55 years. I don’t think it’s a matter of keeping score. We need to think through how we can help the Cuban people, and the kind of a relationship we want with Cuba and the rest of Latin America in 5, 10, 20 years. We need to do what is in our nation’s interest. Improved relations with the United States haven’t seemed to slow the Cuban government’s repression of independent journalists or human rights and civil society activists. What should be done to bolster the cause of nonviolent dissidents in Cuba? How do closer ties give the United States better leverage or new tools to help their cause? We are now in a position to have substantive discussions with the Cuban government about human rights, including free speech. Our position on human rights should always be clear to all, while recognizing that the Cuban political system will be decided in Cuba. The opening of their economy reflects some, albeit limited, restoration of economic freedom. Overall, our policies should aim to help, not punish, the Cuban people.